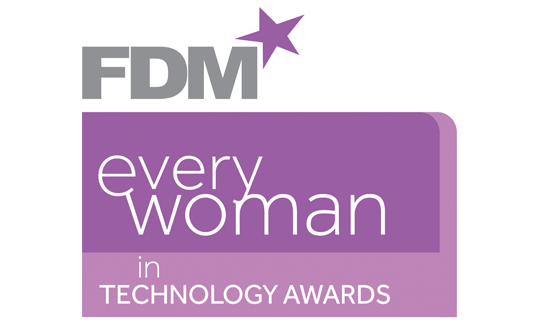 Now in its eighth year, nominations for the 2018 FDM everywoman in Technology Awards are now open!The annual Awards programme uncovers and celebrates the most inspirational women working within STEM industries, demonstrating the vast range of career opportunities that the sector has to offer for women. This year’s programme will have a focus on celebrating and identifying role models to help inspire tomorrow’s world. Entrants can be at any stage of their career, including young students or apprentices passionate about the future of technology and high-flying senior women well established on the career ladder. Supported by the most forward-thinking brands, which are committed to celebrating the skills, innovation and leadership of women, our women in tech awards champion and celebrate women who are achieving career success and the companies that are supporting them to do so. Entrants can be at any stage of their career, including young students or apprentices passionate about the future of technology and high-flying senior women well established on the career ladder. The FDM everywoman in technology awards are free to enter and past winners and finalists, ranging from rising stars to entrepreneurs to senior corporate leaders, go on to become ambassadors for women working in the technology sector, ultimately encouraging more women and young girls to consider a career in this innovative and fast moving sector. New category awards for 2018 are the International Inspiration Award, the Apprentice Award and the Male Agent of Change Award, awarded to a man for his active commitment to advancing the progress of women working in technology. Click here to download your nomination toolkit, for top tips on submitting a good nomination, prior to completing your entry. This is awarded to girl aged 11-18 who is actively encouraging girls to study STEM subjects at school-level. This award seeks to identify young game-changers and is open to inspirational students. This is awarded to an individual, male or female, for their active commitment to encouraging, advancing, sponsoring or championing the progress of women working in technology based outside of the UK. The awards are also an excellent opportunity to engage clients and motivate teams in an inspiring setting. To find out more about corporate hospitality or how your company can get involved with the awards contact seema@everywoman.com.